Thank you for visiting Parkers Tilehurst open since 1968! Parkers in Tilehurst is an independently owned franchise serving the Tilehurst, Calcot, Southcote, Purley and Pangbourne areas. Our focus is around residential sales, private lettings, and financial services via our on-site independent financial advisor. Our customers are central to our business philosophy. We are proud to have moved hundreds of clients over the years, with a number of customers coming to us again and again. We believe in honesty and being upfront with our clients to ensure a transparent relationship, whether you're buying or selling a property. We believe moving house should be an exciting and enjoyable experience and we want to ensure that your experience is pain free. We recently bought our first house in Tilehurst. I must say that the staff was very friendly and helpful during the process. They kept me updated on the matter in good time and were always ready to help me with whatever questions and/or issues I had during negotiations and soliciting period. I am very pleased dealing with Simon and his staff and would certainly recommend this agency to my friends. Thank you guys! Excellent service from Simon and the team at tilehurst. Our property was only on the market for a matter of days before we agreed a sale. Plenty of viewings generated and we were really happy with the price achieved. Parkers were great at keeping us updated with properties to buy. Very pro-active compared to other agents that we had registered with. We ended up buying through parkers as well and Communication has been spot-on throughout the legal process. Would definitely use parkers again and recommend them highly to anyone buying/selling in the area. Parkers have been extremely communicative and attentive throughout the whole process and will be recommending them to my family and friends. A really great service from Simon and all of the team who lived up to their promise for maximising the value of our sale as we relocated to Scotland. Thoroughly professional, attentive and communicative throughout the entire process (which moved at real pace). Highly recommended over other estate agents. Fantastic job and thanks again! We had lots of viewings and Parkers got us an offer on our property quickly, also helped us negotiate a sale price with our buyer so we could secure our next property and no hold ups in the process. Team in Tilehurst are great to deal with and know their portfolio well. Recommended. I sold and purchased through Parker’s back in the summer and the service we experienced was second to none, Simon and his team are brilliant, I felt I was kept in the loop about everything and Simon did everything he could to make sure the whole process went without any problems. We sold our home within a month of it going on the market, their rates I believe are good in comparison to some agents whom I was quoted, and they are an efficient team and they get the job done. They communicated well either via telephone or email, we had Charlie and Simon assisting in our move and both were extremely professional and knowledgable guys with a wealth of experience, we felt very happy letting them deal with everything on both the sale of our property and the purchase of our new property. If I was too ever need an estate agents again I would 100% choose Parkers! Simon joined the Tilehurst office of Parkers in January 2010, having previously worked for another local Estate Agent since 2003. Simon was keen to utilise his considerable knowledge of the industry by investing in a company that is hungry for growth and that is centered around providing the best experience possible to their customers. Having lived in Tilehurst for all of his life Simon attended both Birch Copse and Little Heath Schools as well as being active within the community, particularly in playing for a local football team. Simon's knowledge of Tilehurst and the surrounding area is second to none, he has a passion for Estate Agency and likes nothing more than knowing that he has matched a client to their perfect property. He has a straight forward approach and knows how important it is to be transparent with clients, communicating with them regularly to ensure that they are 100% satisfied with the service they are receiving. Simon has expanded the business opening offices in Theale & Tadley since his arrival with both offices centred around his business belief of high end, high tech marketing and exceptional customer service. 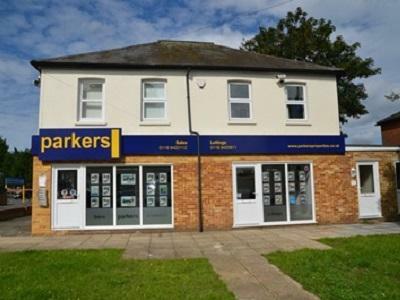 One of the founding members of the Parkers franchise in Tilehurst, Bruce's career in Estate Agency began in 1987, and he has been an integral part of the Parkers business for the last 20 years. 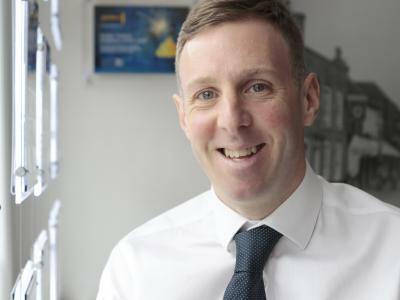 Whilst Bruce has an abundance of experience in sales he gained his ARLA qualifications in lettings in 2007 and has built the lettings portfolio from nothing to managing over 200 properties. Bruce manages a team to ensure landlords are kept fully in line with the ever-changing laws and regulations in the rental sector and offers a bespoke service to landlords to ensure they are provided with a service to match their requirements whether they have just one property or a large portfolio to manage. In his spare time, Bruce focuses his positive energies into Karate. Once a former champion, he now uses his skills to coach others. Ollie joins us with 8 years experience of local estate agency. Having lived in Tilehurst for most of his life he is well placed to offer advice and guidance on buying and selling properties within the area. Ollie is an energetic and proactive addition to the team and has the right amount of drive required to keep customers happy and get the job done. In his spare time, Ollie still plays football and enjoys travelling in Europe. Oliver's primary role within the team will be to provide clients with market appraisals market the properties we currently have available as well as managing our broad range of applicants looking for properties in the area. He will proactively contact those registered on a regular basis with details of any new properties registered that meet their criteria. He will co-ordinate all viewings and feedback to ensure that each property is given the right exposure to generate a sale. Jayne joined Parkers in 2007, and plays a key part in ensuring that our lettings business runs smoothly. Predominantly focussed on satisfying our growing portfolio of existing Landlords and Tenants, Jayne is responsible for all aspects of service and property management for the duration of the let, and uses her fantastic attention to detail to ensure that all tenants are referenced and registered quickly and accurately. She has an in-depth knowledge of the lettings business, and is on hand to offer advice and guidance whenever it is needed. Jayne is a valuable member of the Parkers team, and has a friendly but direct approach which enables her to leverage her thorough understanding of our customers needs, to ultimately guarantee that our lettings customers are 100% satisfied with our lettings service at all times. Jayne lives locally with her husband and their three children, so has an excellent knowledge of Tilehurst and the surrounding area. Tara has been an instant hit with both our landlords and tenants since joining in 2016. Responsible for working with tenants to ensure properties are kept to a high level of presentation both internally and externally. Tara has built an excellent portfolio of contractors to make sure issues within our landlords properties are dealt with quickly and efficiently. Tara also works very hard for both the tenant and landlord to ensure each property is kept fully up to date with the continuously changing regulations for the safety of our tenants and protection of landlords. Tara has lived in Tilehurst & Calcot all her life and mothers 2 children who also both now go to school locally ensuring her knowledge of the area is second to none. Chloe assists our lettings team ensuring properties are maintained to an acceptable level of presentation but inspecting them on a regular basis and reporting back to landlords to confirm their properties are in safe hands. Chloe will ensure tenants are also happy with how the property is being maintained and will recommend any necessary repairs to landlords to ensure the property remains in good condition. Charlie joined Parkers in 2017 to assist our busy sales department and develop his career in estate agency. Charlie will be very active assisting home hunters finding their property and brings a new level of enthusiasm doing so. Working very closely with Kieran, Charlie will often be showing property seekers around our vast selection of homes in the area and providing clients with information on the local areas. Charlie has property in his blood with his father previously running a successful estate agency & property development company. Keen to follow in his fathers' footsteps, Charlie, who has just returned from travelling in the Far East is a local lad living in Whitchurch who is also very much interested in coaching football & fitness in his spare time. Kieran has recently joined our sales team to assist with ensuring our clients are kept fully up to date of any new properties that are coming onto the market. Not everyone will pick your home our on Rightmove or a property portal. Sometimes clients need to b introduced to a property and its best selling features which is what Kieran does best. He knows the area very well, living locally and having attended the local schools. Further more his father Keith has been working within the industry as a local solicitor for over 50 years giving Kieran the inside track on the industry. Kieran is a keen sportsman and a qualified referee for football.